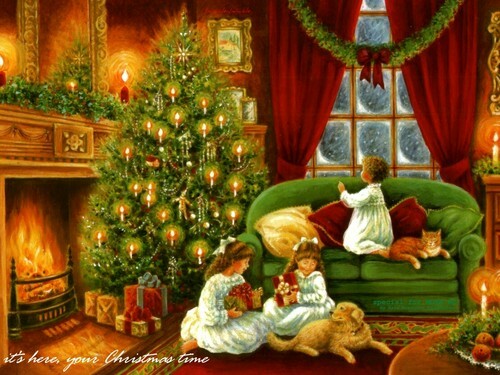 Vintage বড়দিন. . HD Wallpaper and background images in the বড়দিন club tagged: merry christmas christmas holidays december. This বড়দিন wallpaper contains সিংহাসন. There might also be চেয়ার, বিশপ এর সিংহাসন, and বৈঠকখানা.